From lower monthly payments to a $500 Excessive Wear and Tear Waiver, which is an exclusive Honda perk, there are a number of car leasing advantages. If you're in the market for a new Honda like the CR-V, Accord, Ridgeline or Civic, check out some of the benefits of leasing a car before you decide to buy. Also, explore our selection of cars and SUVs for lease in the Dallas area. Monthly payments are generally much lower with leasing because you're only paying for a portion of the car's value. In addition, car leases at Honda of Forth Worth often require little money upfront and you may even qualify for a zero-down lease. Leasing not only offers the flexibility of driving a new car every few years, but also the flexibility of getting into a better car with more features. Because monthly payments are lower, you may find that the vehicle you've always dreamed of now easily fits into your budget, especially if you're eligible for current lease incentives. There are numerous terms available, so whether you want a short- or long-term lease, we have options for you. Contracts range from 24 to 60 months. You can even choose to pay everything upfront through Honda's One-Payment Leasing program. Most terms allot 12,000 or 15,000 miles a year, which is typically plenty for most drivers. However, if you know that you drive over this amount, you can add on miles before lease inception to avoid fees at the end of your lease. Most lease terms, especially shorter ones, fall into or align with Honda's bumper-to-bumper and powertrain warranties. Along with this, newer cars simply don't require frequent maintenance and service visits, which is another perk. GAP offers financial peace of mind by helping to cover the "gap" between an insurance payout and what's still owed on a lease in the event of theft or a car wreck. It's not standard with most lease programs, but Honda includes it automatically. Another exclusive perk of leasing a car or truck at our Honda dealership is the $500 waiver that covers excess wear and tear. Charges incurred from excess wear are worrisome for many drivers, so to quell these fears, Honda offers a $500 waiver along with the ability to earn an additional waiver for eligible customers. At the end of your lease, you'll have a number of options. You can either turn your vehicle in and leave it at that, or if you'd like to buy the vehicle, you can purchase it for a guaranteed price that's decided upon at signing. You may also choose to lease a brand-new vehicle. The Honda Leadership Leasing program offers a number of benefits to drivers who love that new car smell! From the Honda Civic to the CR-V and Ridgeline, we have several car, SUV and truck lease offers, and you can choose to trade in your car for an even better deal. 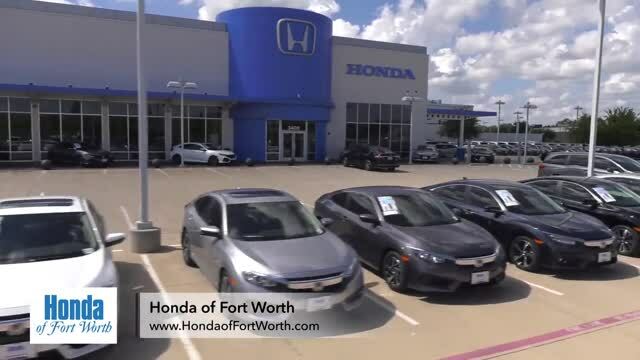 To learn more about the program and the latest lease incentives available to drivers in the DFW area near Weather & Parker County, call or visit Honda of Forth Worth!